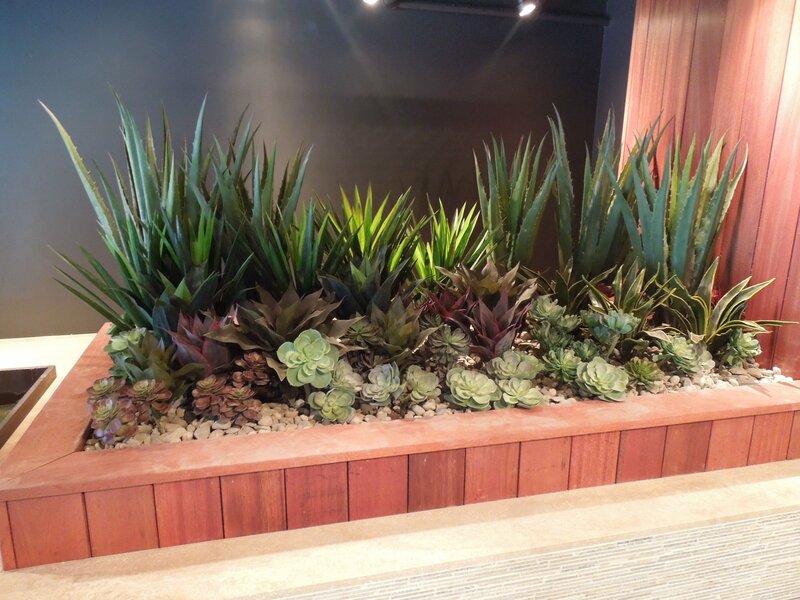 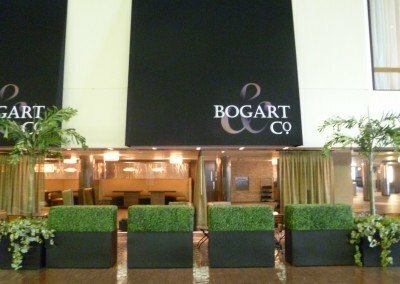 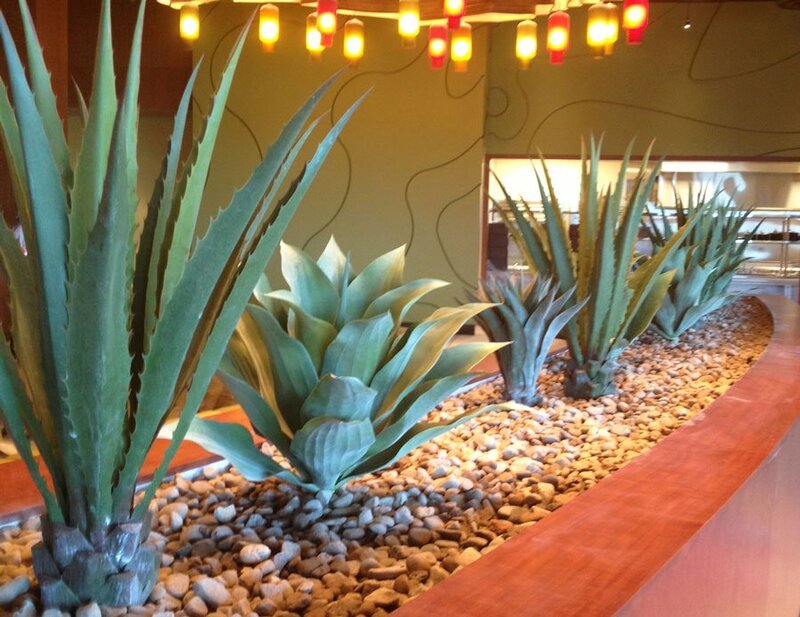 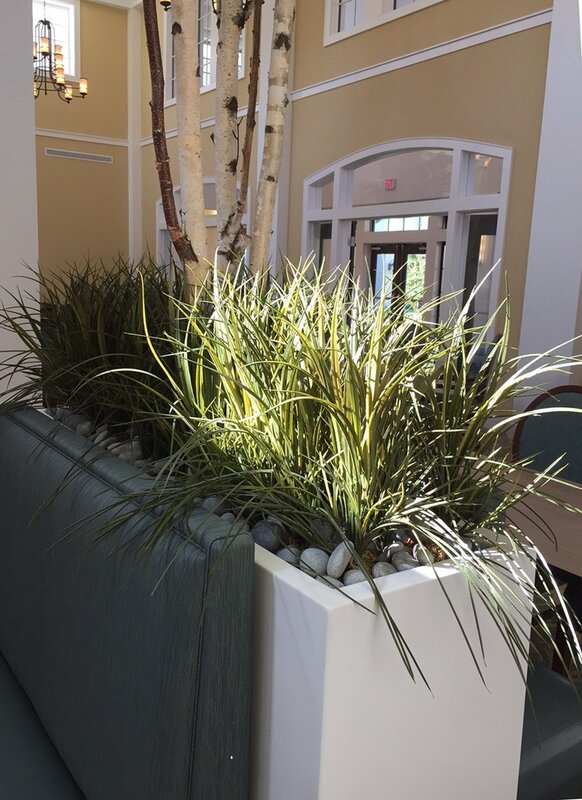 Our Designer Artificial Plants & Flowers Liven Any Space! 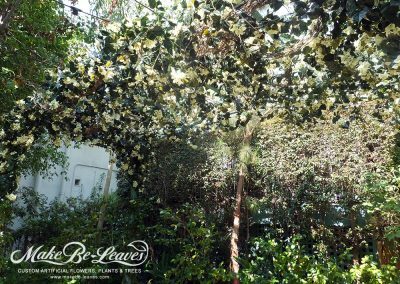 Long-lasting artificial plantscaping, large preserved trees and realistic outdoor Boxwood hedges are a specialty of ours! 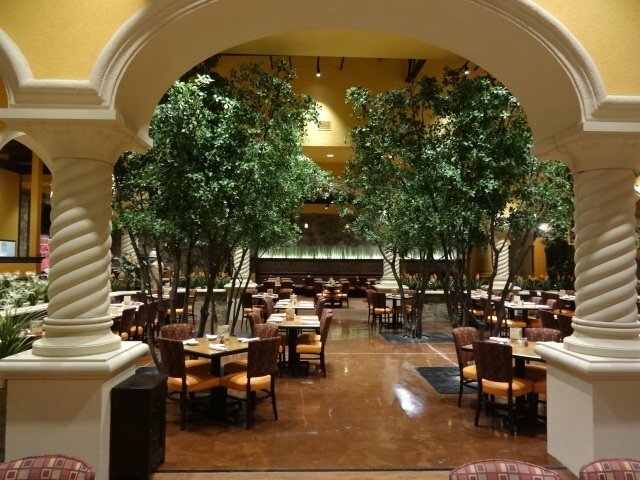 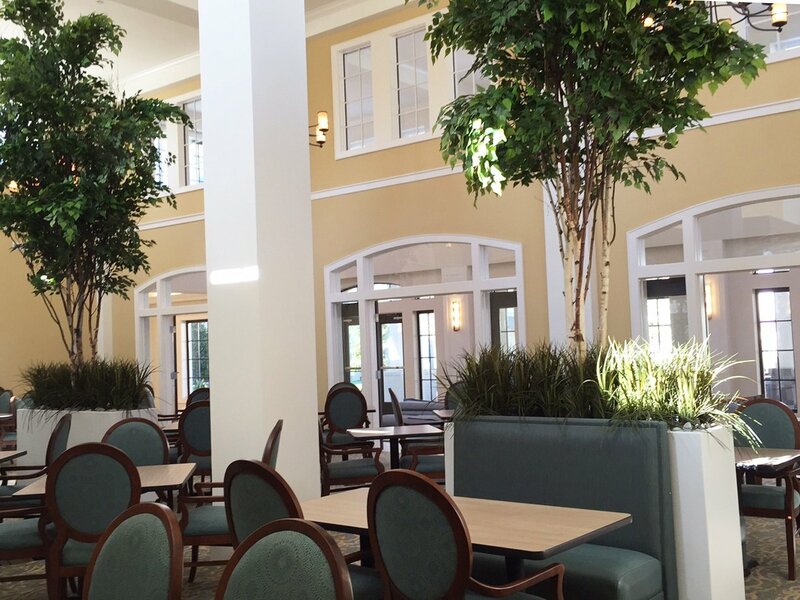 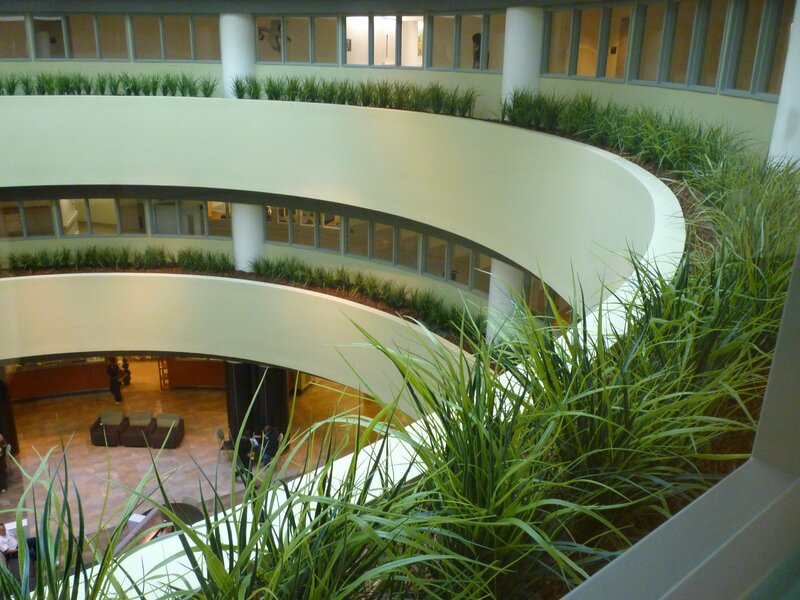 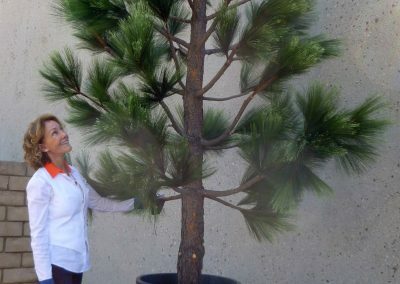 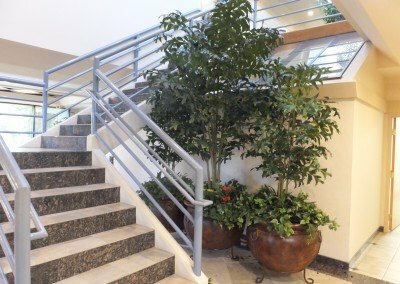 Landscape Architects work with us to design and build artificial plantscapes, install large faux trees and artificial plants into interior atriums, and exterior places where there are multiple difficulties to maintaining a live specimen. 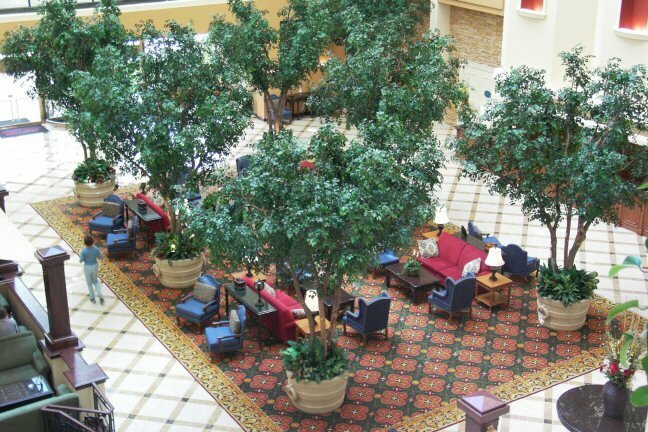 Large lobby spaces are another area where high-end, large-scale artificial trees constructed on natural wood trunks are a great choice, and often times enhanced with live base plantings. 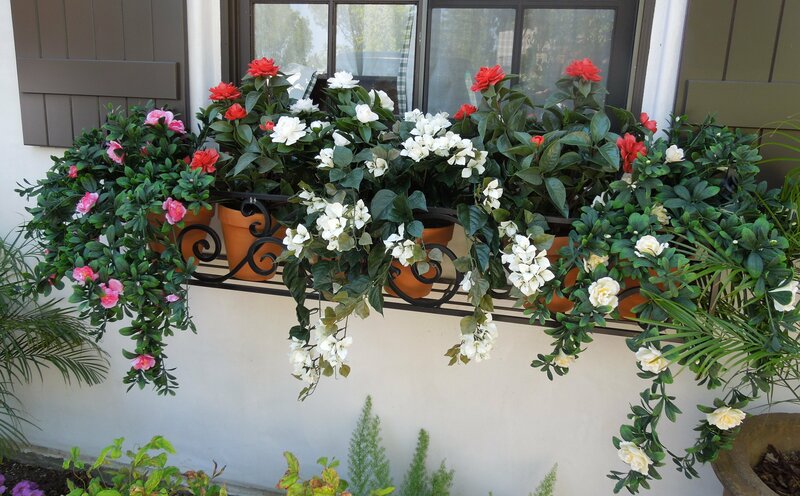 Click to get our free catalog by email. 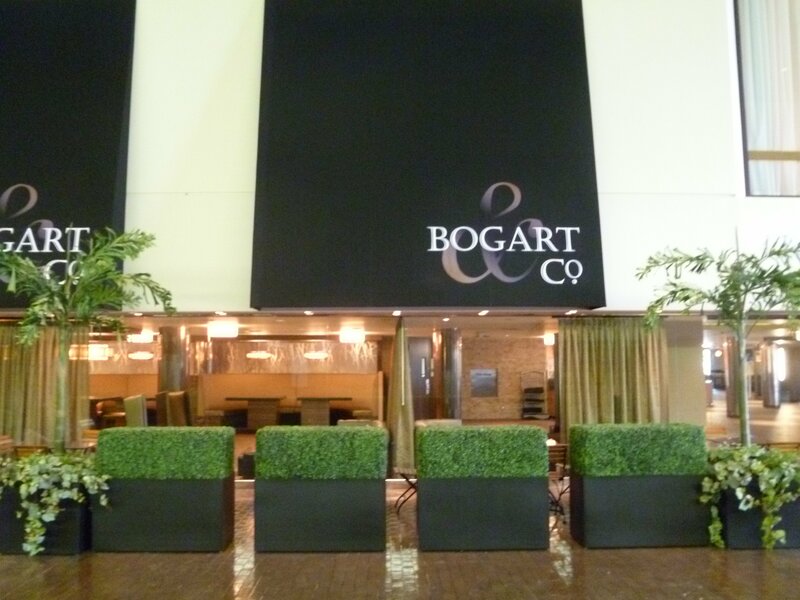 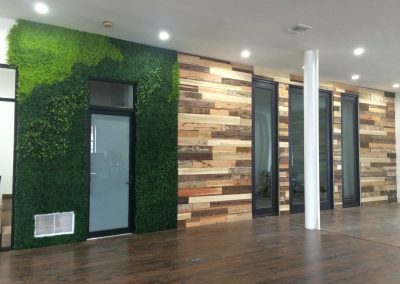 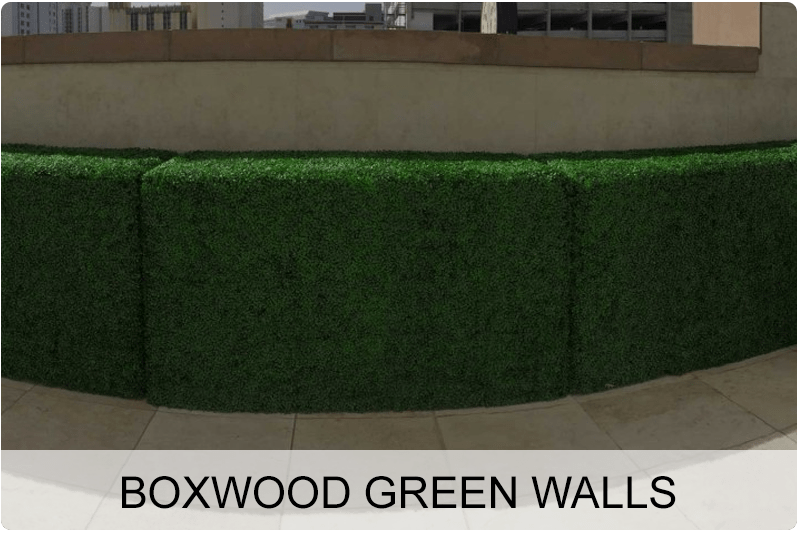 Boxwood Green Walls transform a stark or an unattractive wall into instant greenery and ambience – without requiring any floor space or planters. 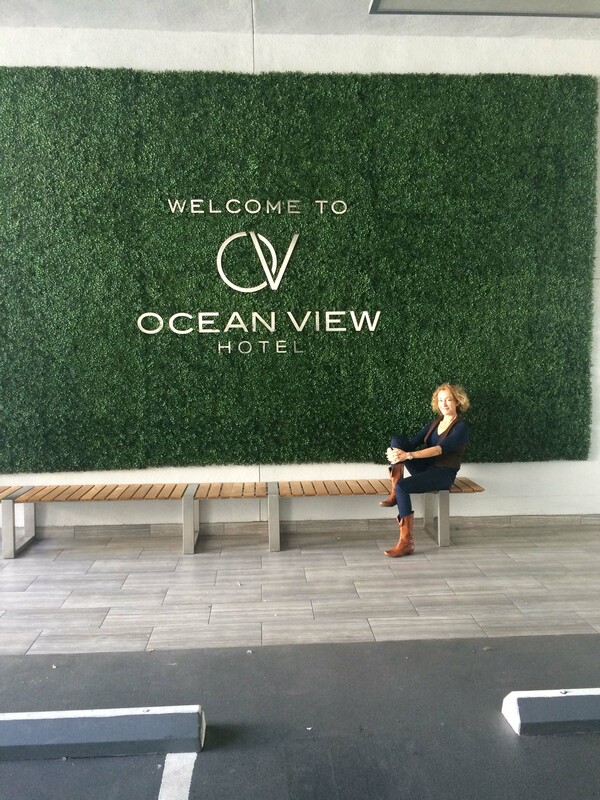 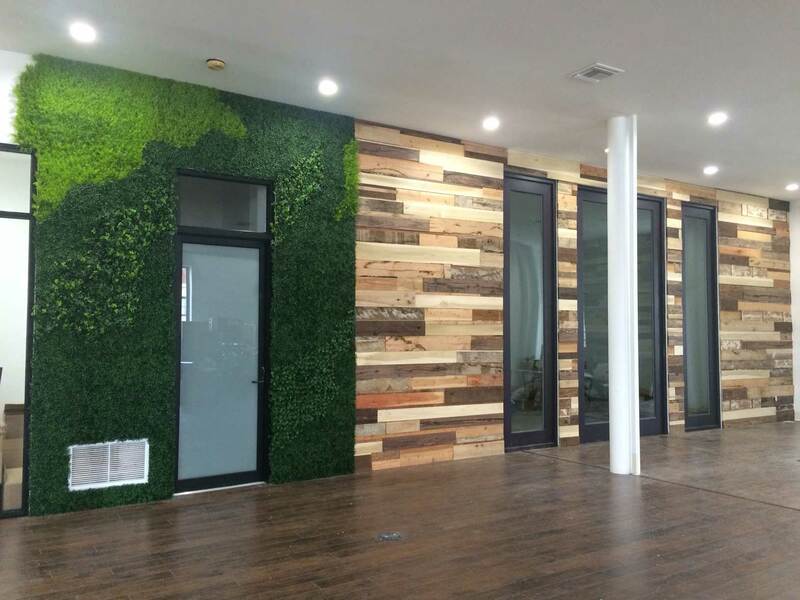 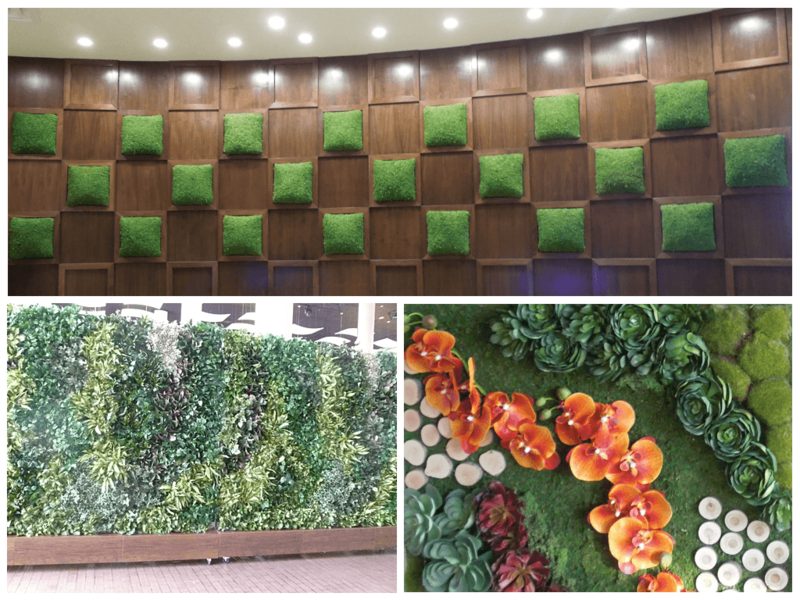 These UV green walls are constructed on an open metal mesh backing for easy attachment to any type of wall. 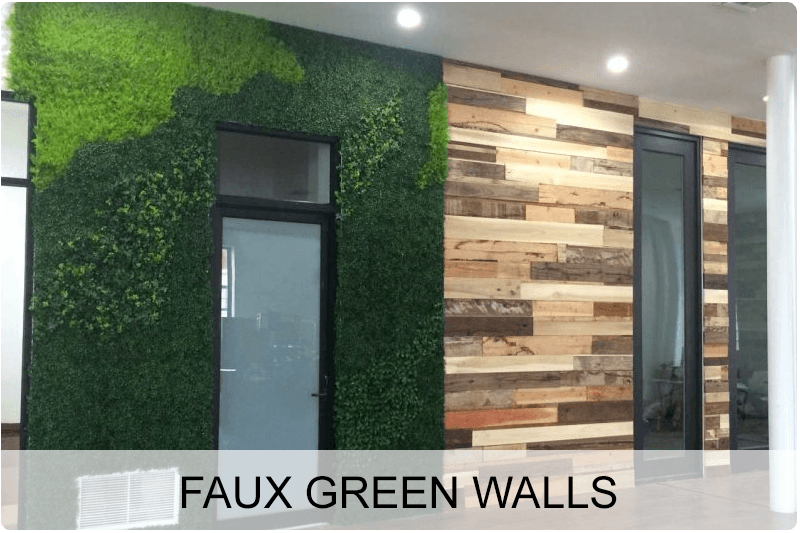 Custom Faux Living Walls are an exciting and creative way to transform a wall space. 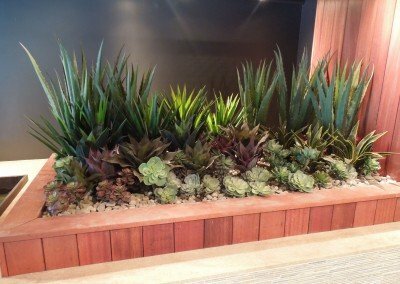 With a variety of UV foliage options, you can create fun, geometric patterns or keep one style of greenery per panel for contrasted plantings! 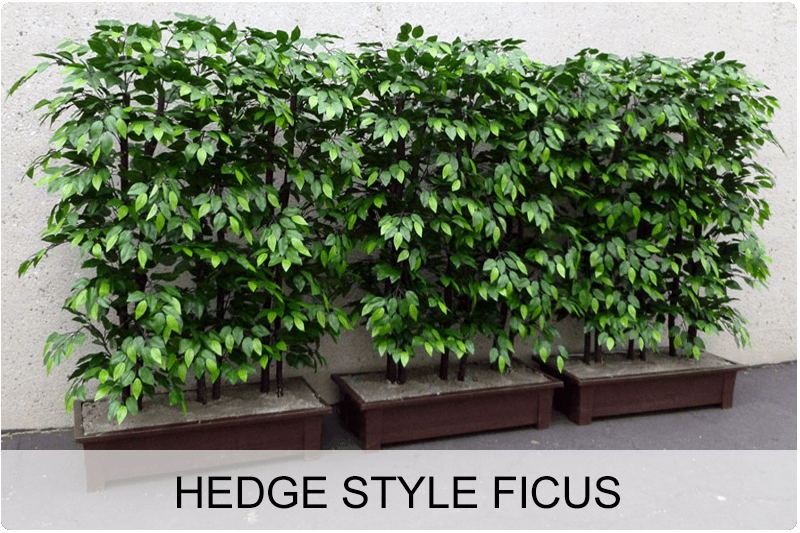 Hedge-style Ficus Trees and trellis-style Azalea trees are another great option to create privacy, while allowing light through. 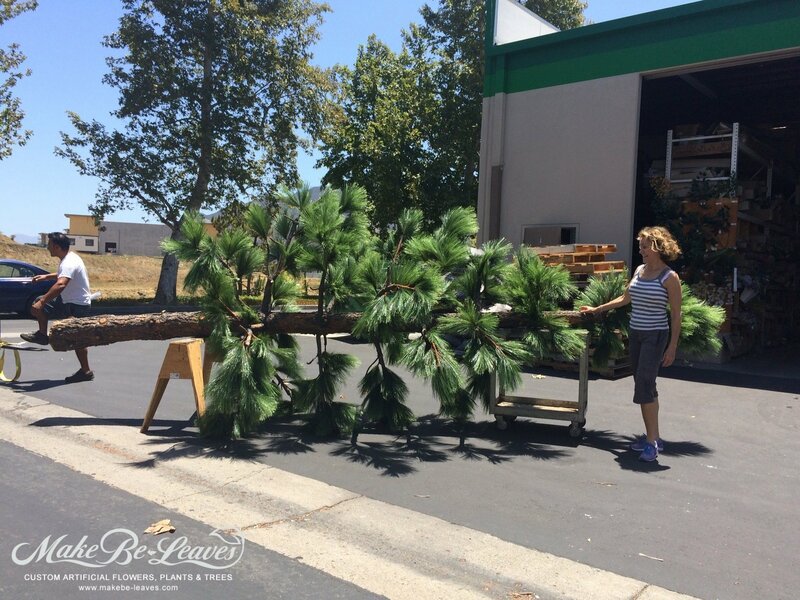 They are UV coated while being constructed on natural, water-treated wood trunks makes them look so life-like. 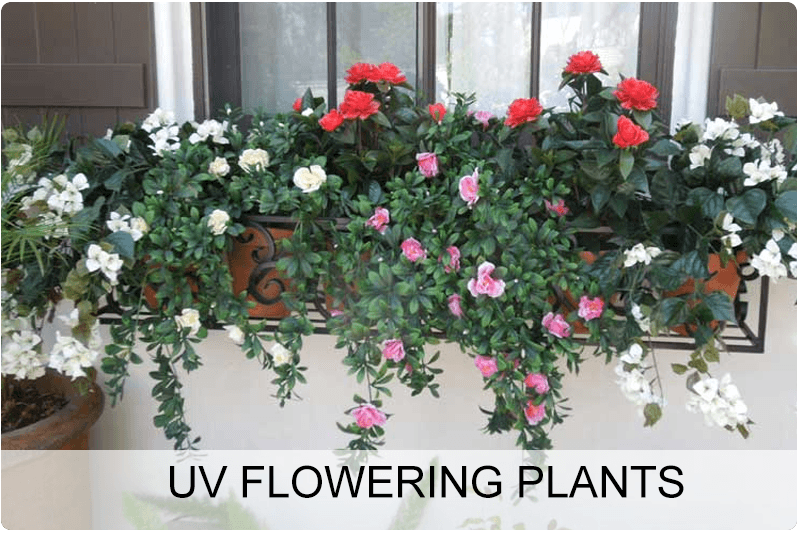 Colorful UV Flowering Plants will provide year-round permanent color – perfect for balcony planters, base plantings of larger trees or plants, and as low ground cover in planter boxes, your choice. 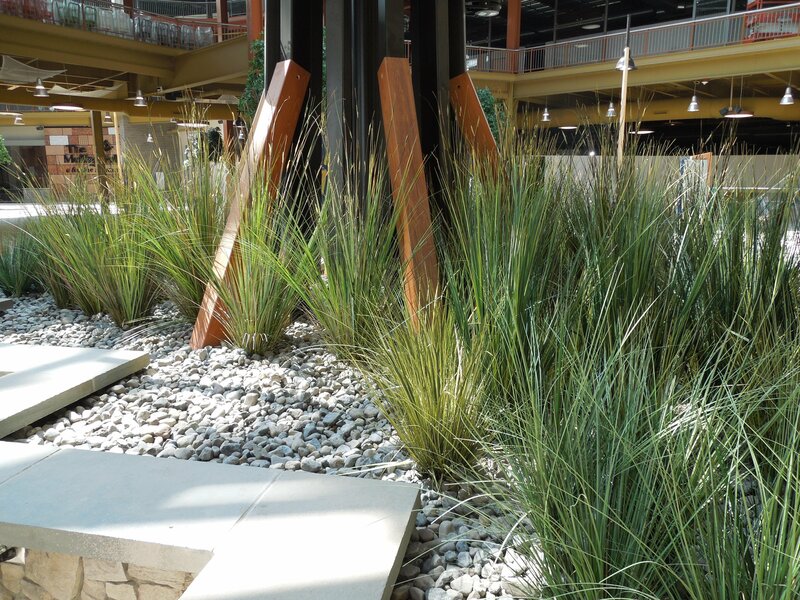 Our design consultations are gratis to-the-trade! 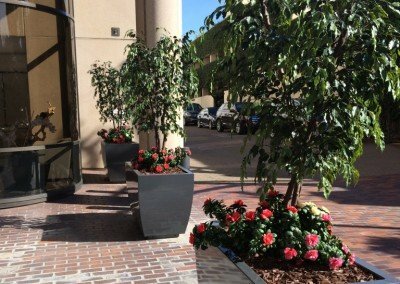 Are they live? 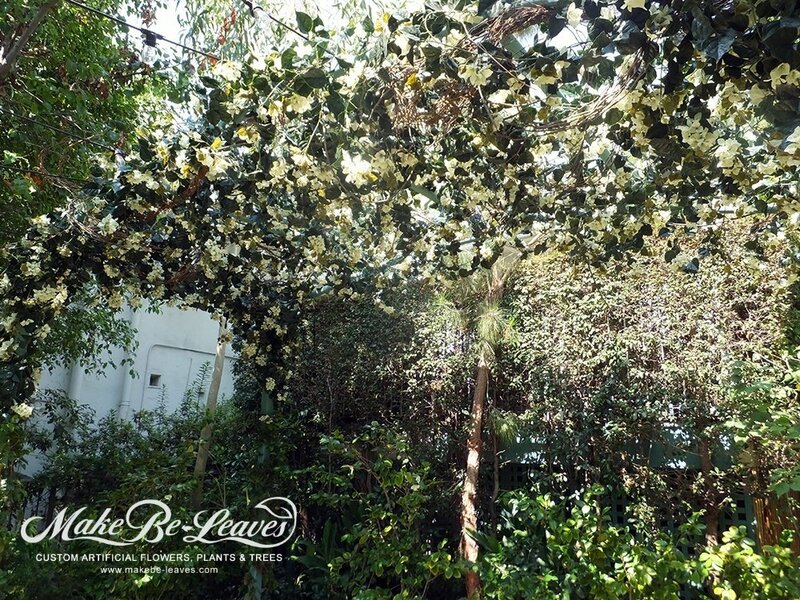 …or Make Be-leaves! 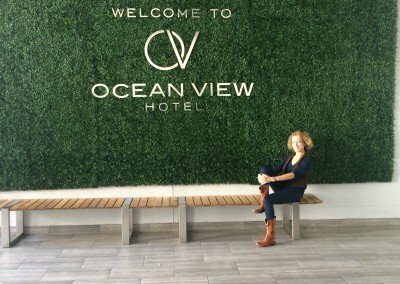 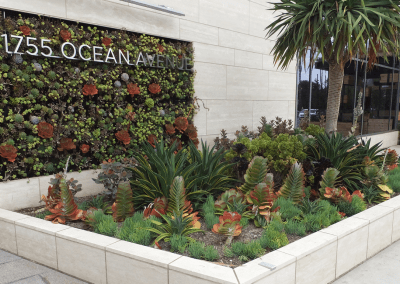 We enjoy working closely with landscape architects to create the most lifelike, high quality, and effective artificial plantscaping to enhance each project’s overall look-and-feel. 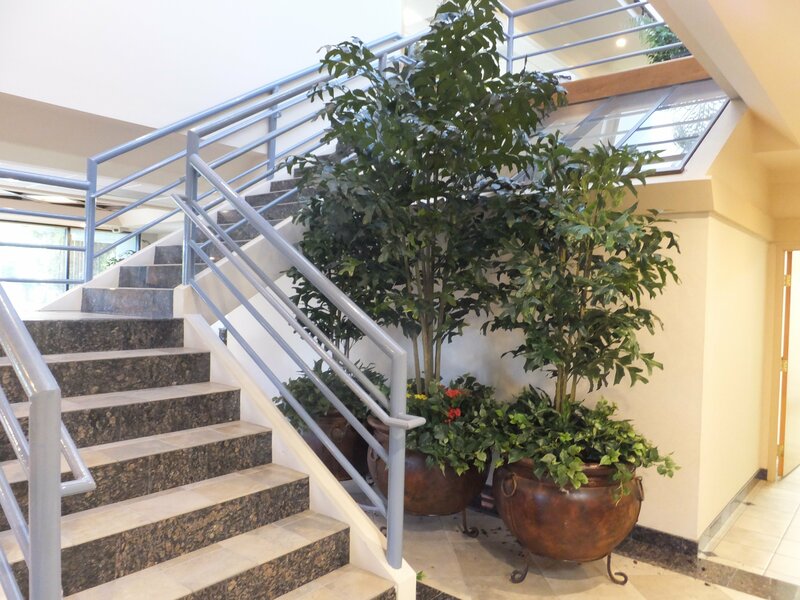 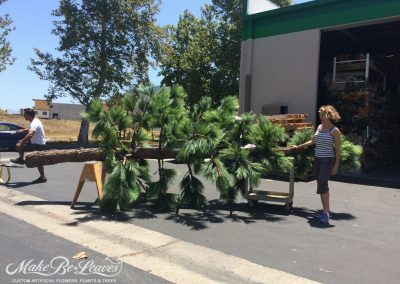 The great advantage of incorporating our high quality, natural-looking artificial plantscaping with natural landscaping, is that our high-quality artificial plants, trees and hedges compliment the live landscaping so seamlessly that no one can tell they are are “fake” plants or trees used! 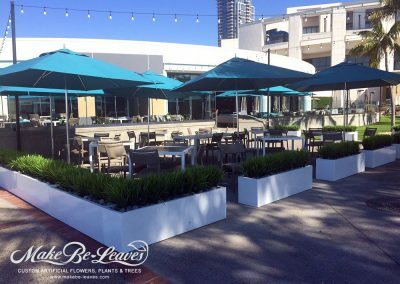 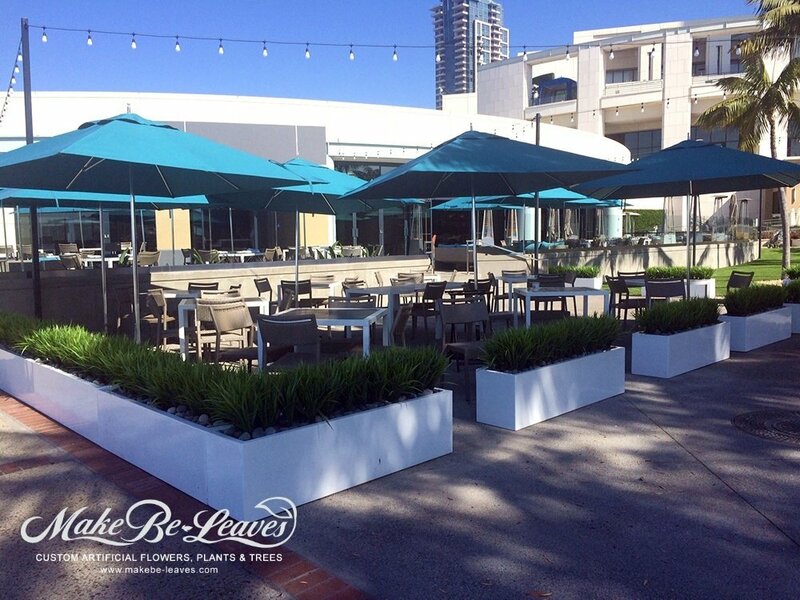 Landscape Architects use Make Be-Leaves to custom craft and produce lush long-lasting plantscapes. 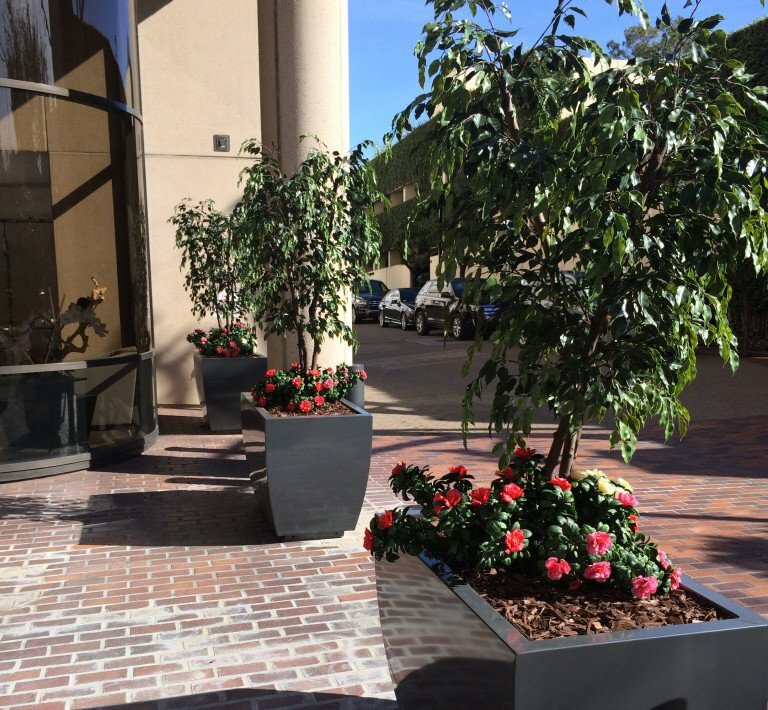 Fully artificial or a combination using real and/or artificial plants, flowers and trees – perfect for exterior and interior living spaces. 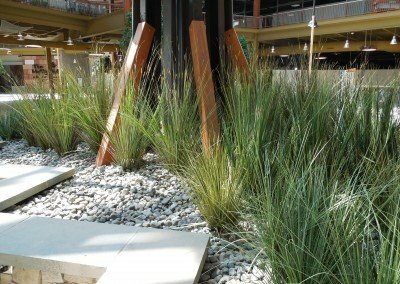 Artificial Landscape Design Consultations Available! 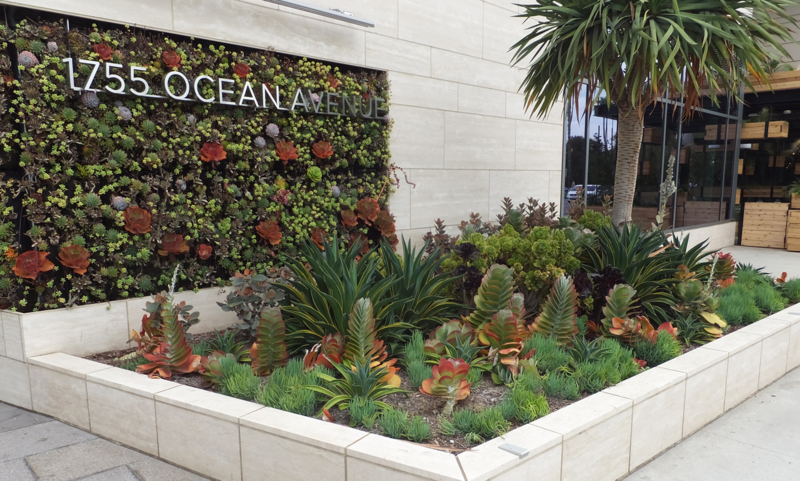 Exterior artificial plantscaping has been growing in recent years due to the drought. 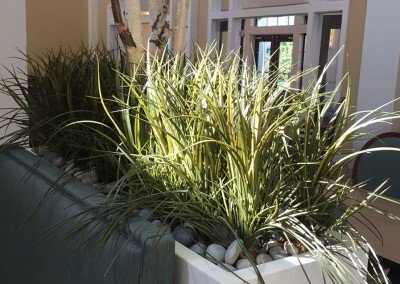 Our artificial plant product offerings are always expanding and with it are the quality and extended UV warranty against fading. 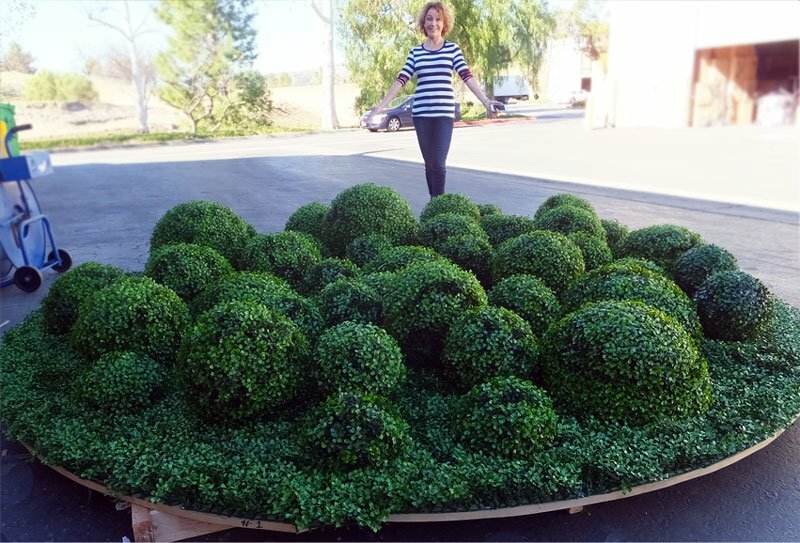 Faux Boxwood Hedges are extremely popular. 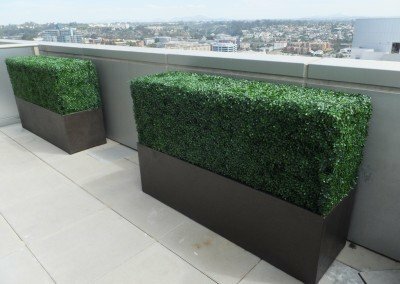 They are a great solution to create division and privacy – with a timeless, manicured elegance in a variety of styles. 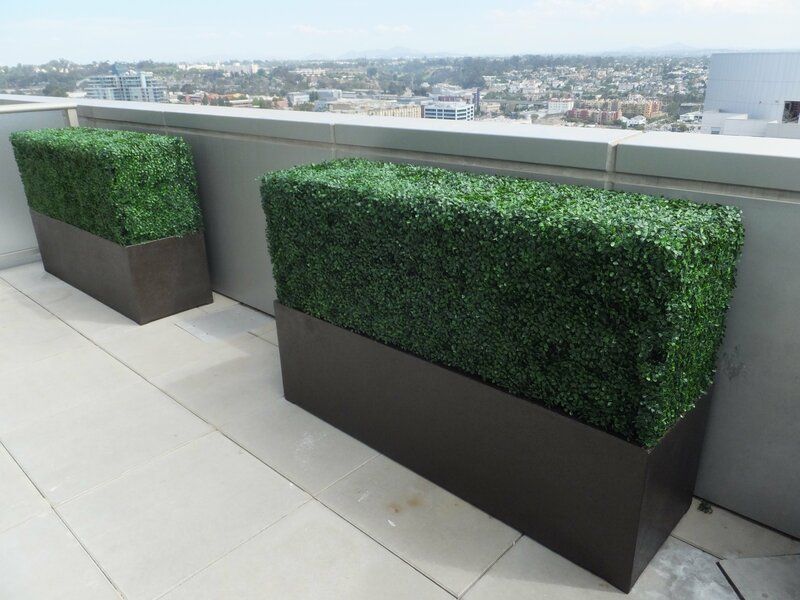 Our artificial hedges are constructed on welded metal framing to offer the option of freestanding hedges, or custom built to fit into any size planter. 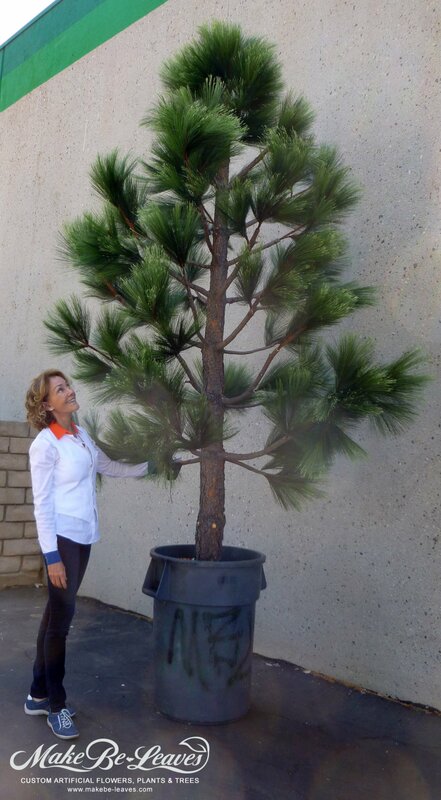 Both look equally as beautiful as low and compact or tall, stately pieces.